We all have loved Maruti Suzuki’s 800 model since our Childhood. Though the production of Maruti 800 has been stopped, it has made a permanent place in our hearts. 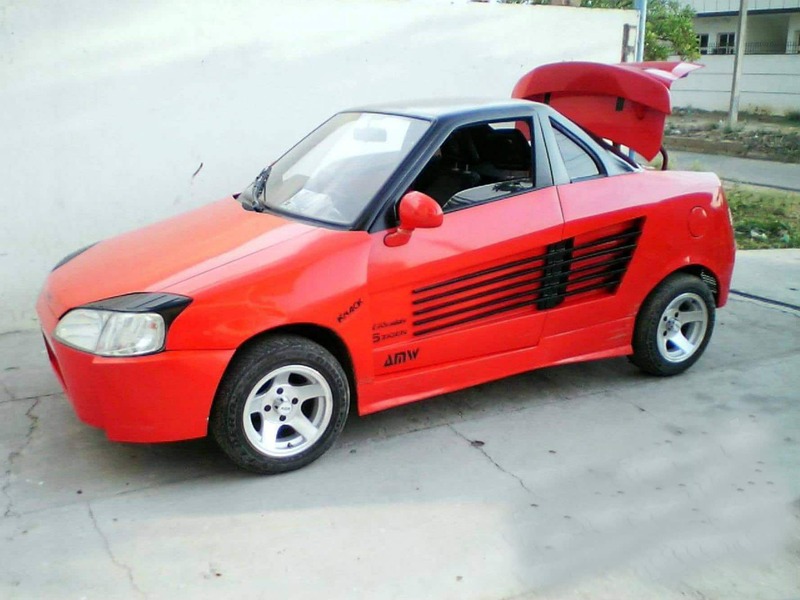 The simplistic design of Maruti 800 has been one of the best canvases for modifications. That’s why some people took leverage of this & created modified vehicles. I’d like to tell you that some of the modified versions are quite impressive while some are too odd. We give you the liberty to assign best or worst tags to these Maruti 800 modifications. 1. 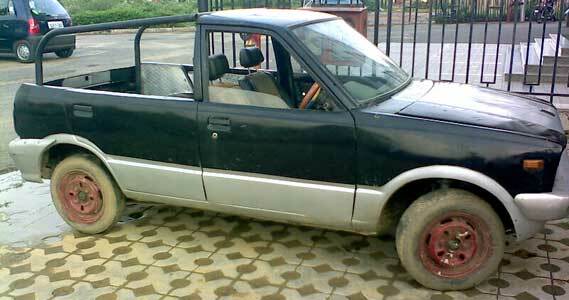 Maruti 800 modified as Pick-up truck. Want a pick-up truck for your journey? Don’t worry A Maruti can do it. We found this modified version on Team Bhp Forum. Modifications: The modifications include the Front grill to look like American muscle cars (though it looks like miniature form). Flat load bay is at the back to make it pure pick up vehicle. The headlights have been taken from Maruti Gypsy and tail lights from Mahindra Scorpio. We’d say it’s quite difficult to recognize it as a Maruti 800 model. This was the classic Maruti 800 model (SS40). While we could not find the designer of this modified version, the snap was taken from Motorbeam forum. Modifications: The Rally style cabin gives it muscular look. 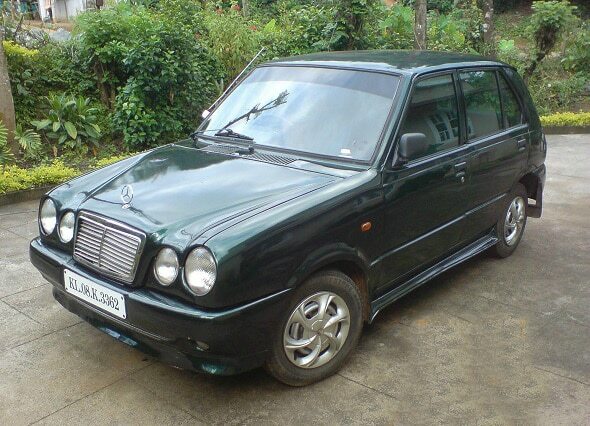 14 inch alloy wheels made the small Maruti 800 to look like a muscular off road vehicle. The Side mirror has been taken from Daewoo Matiz. In a nutshell, the car got it’s perfect reincarnation from a small vehicle to an off road vehicle. Who says, modified cars don’t look good? Look at this cute piece of beauty. 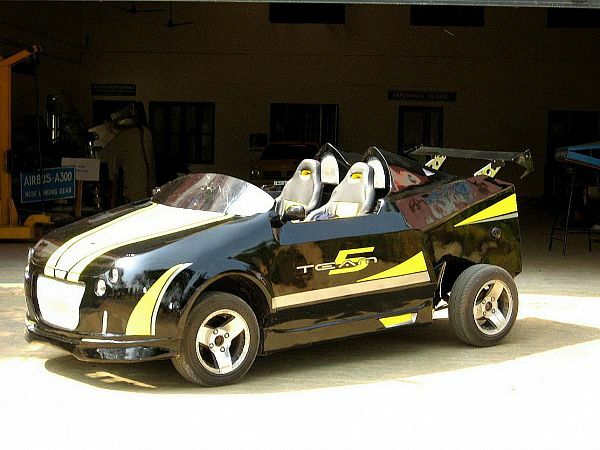 In India the trends of convertibles is not so common, but some of us simply love convertibles! That’s why Jagjit Singh of JS Designs took it seriously and crafted this cutie. We fell in love with this. modifications: The car is 2 seater with retractable targa roof. Headlights have been used from FIAT Palio while the tail lights have been taken from Chevrolet Spark (This makes it too cute). Moreover there’s an additional luggage rack on top of rounded boot. The forward tilting bonnet makes it sporty in appearance. Custom exhaust flow with twin tailpipes give it racing rage look. Did you know how much did it cost for modification? Just Rs. 3.5 Lakh (Said by JS Designs). 4.Maruti 800 Convertible by Digambar Yadav. 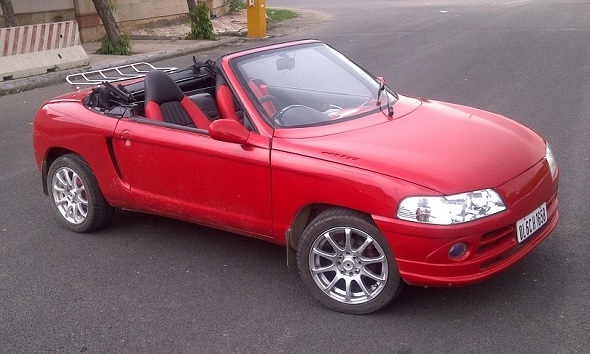 Now that’s called a practical usage convertible car. The Car has 2 doors but it’s a 4 seater vehicle. Digamabar Yadav did a great job. Modifications: The front headlights were replaced by those of Opel corsa (cutie look). The tail side area is completely customized. A simple tarpuline roof has been put on use to protect from rain. 5. Maruti 800 tuned into a SUV. This surely looks a determined effort from the designer to transform Small Maruti 800 into a giant SUV. While the designer tried to achieve the SUV look but at some extent. Modifications: The Rear suspension has been raised to give it SUV like height. Front grill taken from Mahindra Scorpio and bull guard give it masculine look from front. The upper mounted mirrors are tasteless. The best parts are the pop up auxiliary lamps from bonnet. 6.Scissor doors are not just for Lamborghinis! Perhaps this is what the owner of this modified Maruti was trying to say. Modifications: The Scissor doors are good to have on your car but it seems little bit odd (Sorry folks). Rest other modifications are finely tuned. This one is simple yet beautiful modification. Doesn’t need any word, except one – The BMW logo doesn’t look good on it. Completely pimped ride, doesn’t it? Combination of black and white paint job gives it the appearance of street racing car. Modifications: customized bumpers with less ground clearance and engine modifications were done to this baby. This is surely made for kissing the race streets. Can you recognize it as a Maruti 800? Absolutely not!!! The owner of this, tried to transform it completely from a small hatchback to a racing car. Modifications: The whole body has been modified from Racing kit. The angular side window, bonnet doors etc. are derived from Racing kit. Modifications: Front grill and headlamps have been adapted from Mercedes E class. The bonnet also has been customized for same purpose. From front the car looks like Mercedes but side view clearly reveals it as a modified hatchback. 11. 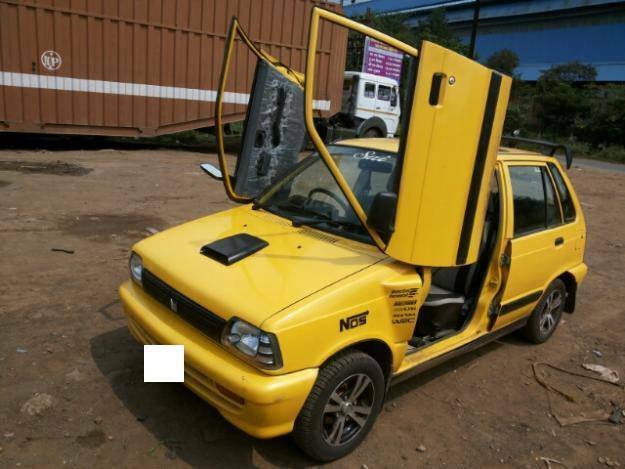 Custom built & Modified Maruti 800. We are sure all of you would have fallen in love with this. This is a race car designed from Maruti 800 model. It’s almost impossible to recognize it as a Maruti 800, isn’t it? Modifications: The whole body has been modified. Custom built grill, Alloy wheels, spoiler, racing seats have been added. 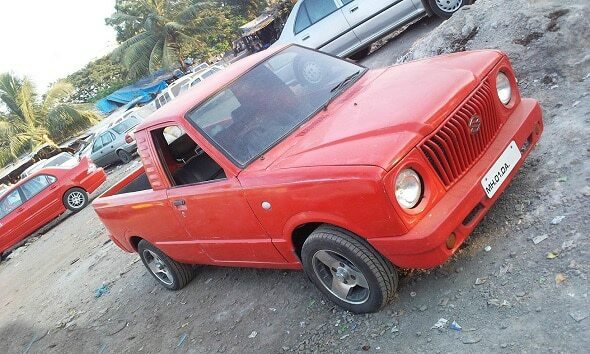 Does this Modified Maruti 800 look good? Share your opinions in the comment box. Thanks Nithin Ajay, As of Now we can tell you just the rough cost. 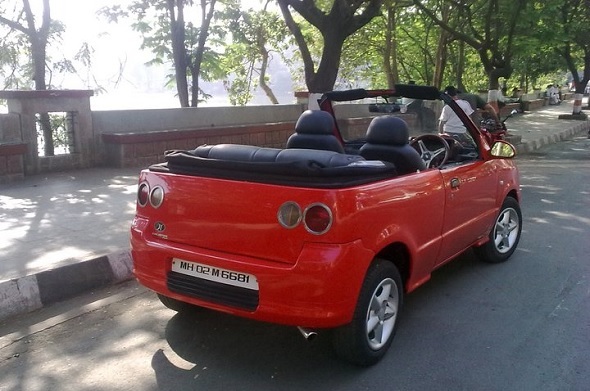 For modification of Maruti 800 into a convertible sports car it costs around 2.5 Lakh. Kindly note it is based on just the market research. You have to contact the car modifiers on your own. I want to purches this car . Hi Anuj. Thanks for showing your interest but we don’t provide custom car modifications services. You can get car modifications services from JS Designs and we are not associated with them. Hi Mohit Thanks for showing your interest but we don’t provide custom car modifications services, you can get car modifications services from JS Designs and we are not associated with them. As of now we can’t share contact details, though you can get Maruti car modified in decent way within range of 2.5 Lakh from a reputed car modifier. (it’s based on market research it may vary). Thanks for showing interest Vijay but unfortunately we are not providing modification services. Though we can give you the Market estimated cost. A well known decent Car modifier may charge 2 lakhs (rough estimate) for maruti modification into a convertible sports car. 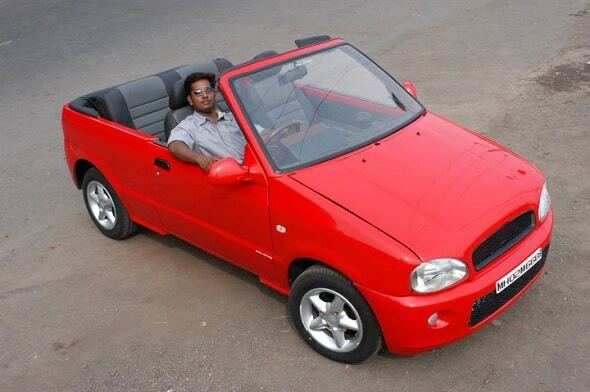 how much money is spent for the red maruti 800 convertible? plz send me a round figure for thats red convertible. It was roughly 2.5 Lakh by JS designs. Thanks for showing interest Sourav. You can contact JS designs for the same. (they are known for this in the market.) Please note We are NOT Associated with them. 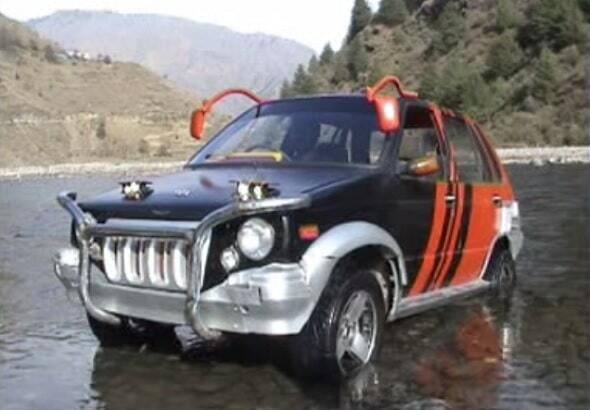 I want to modify maruti 800 .I belong to j& k India. Thanks for showing interest Ajay, Kindly contact JS Designs (just Google them) for the same. They can give you the best quotations. 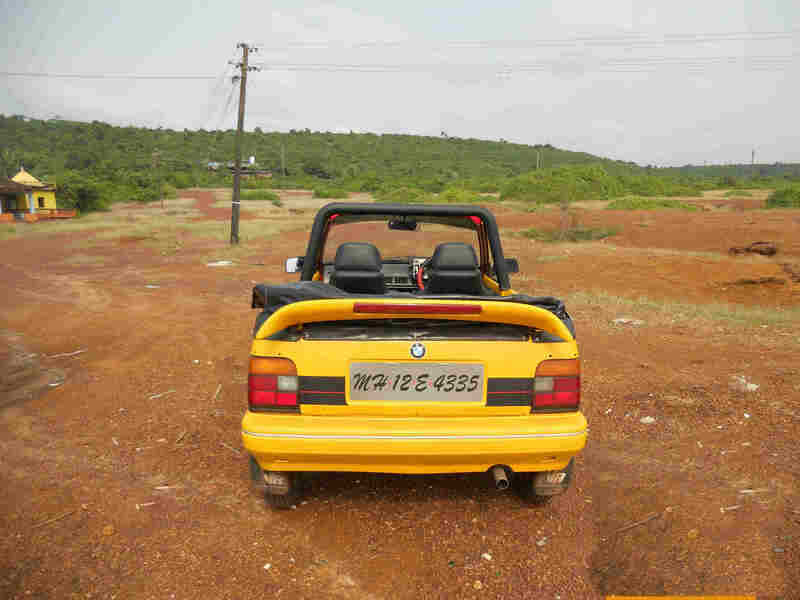 Based on our estimates the cost would be approx 2 lakhs for a convertible modification. Thanks SIraj Saini. Appreciated your thoughts. Thanks for showing interest Prashil. We are not the owners of these modified cars. Well you can get one from JS designs. You can find them on Google. Thanks for showing interest Amar. We are just an informative media site. You can approach one such modifier by the name of JS Designs. (Just google them for their address) Kindly note we are not associated with them. Based on market estimated It may cost somewhere between 2 lakhs to 3 lakhs. I also want to get my 800 car like one of these. I want to know about the details. U can contact me on this number!! (9516668156) and I’m Sachin Prajapati. From gwalior. Thanks Sachin, kindly contact JS Designs, You can find them on Google. Please note we are not associated with them. We are just an informative site. Dhanyawaad Govind G, Aap JS Designs se sampark kijiye. You can find JS Designs on Google. Thanks Nitish. 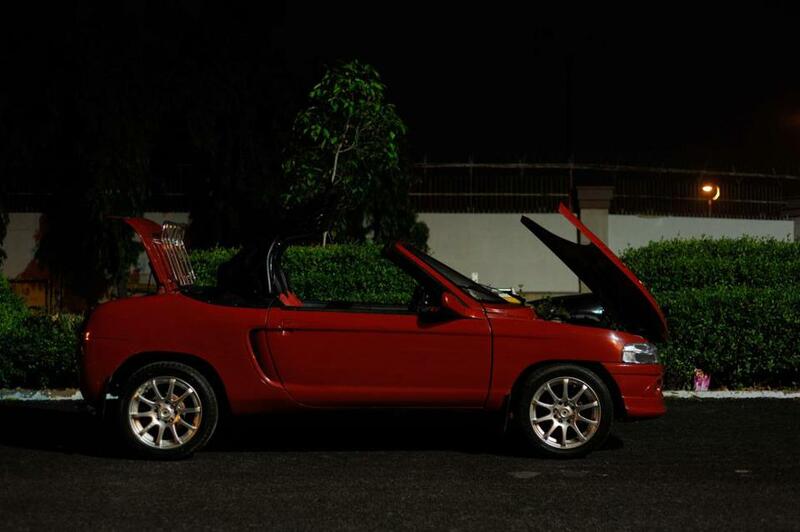 For converting a Maruti 800 into a speedster convertible car it may cost approx. 2 Lakhs INR. Kindly note we do not provide modification services. Hello Rajveer Brar, Thanks for your question. Modification of Maruti 800 may cost approx. 2 Lacs. You can contact JS Designs for modification. We are not associated with JS designs. It’s just generic information. Hi Mr. Gaud thanks for showing your interest but we don’t provide custom car modifications services, you can get car modifications services from JS Designs and we are not associated with them. I have a maruti car and i want to modify. Plz send me your contact no. Please contact me. My call = 7048829941. Hi. Umesh, thanks for showing your interest but we don’t provide custom car modifications but you can contact JS Designs. They provide the modifications services. I have got maruti 800 could u modify it?? Thanks Abu Talha for your interest, Kindly contact JS designs for the same. They specialize in modifications. Please note, we are not associated with them. Thanks Akshay for your interest, Kindly contact JS designs for the same. They specialize in modifications. Please note, we are not associated with them. Hi.I want to know the modification cost of the no 11 which is custom built and modifier maruti800,,and I m from Kolkata…. Thanks T.Naiya for your interest, Kindly contact JS designs for the same. They specialize in modifications. Please note, we are not associated with them. Thanks Vikash for your interest, Kindly contact JS designs for the same. They specialize in modifications. Please note, we are not associated with them. You can get such cars from JS Designs. Please note we are not associated with them. Let us know which type of modification are you looking for? Please specify your requirements, so that we can suggest you right opinion.